Victory Dental is proud to offer Boise Dental Implants and many other cosmetic and restorative dental services to help create beautiful smiles. Whether you are missing one tooth, have several teeth missing or are looking for more extensive treatment we are here to offer implant dentistry in Boise, Idaho. Call Today to Schedule an Exam and Consultation. See Why Victory Dental Is The Place To Go For Dental Implants! Why Choose Victory Dental For Your Dental Implant Procedure? Dr. Ripplinger has taken over 80 hours in Dental Implant and Bone Grafting continued education courses and placed hundreds of Dental Implants. Prior to placing an Dental Implant Dr. Ripplinger performs a thorough evaluation of your mouth to ensure there is adequate bone mass to support an implant. Dental Implants are never 100% guarantee, however in the event the bone does not integrate with the implant properly he is willing to remove the implant and credit the amount paid to provide a new solution. Learn more about Dr. Ripplinger and Victory Dental. If you have lost a tooth due to severe tooth decay, gum disease or injury, Victory Dental can help restore your smile with a beautiful, new dental implant that looks and functions like a real tooth. Not only can having a missing tooth make you self-conscious about your smile, if a tooth is not replaced other dental problems may arise. The jawbone that used to support the tooth begins to atrophy or weaken, which may cause the adjacent teeth to shift. This can cause excessive wear on certain teeth, alter your appearance or speech, cause decay, compromise your chewing abilities and cause TMJ (jaw joint) problems. 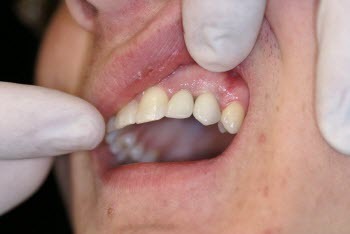 By replacing the tooth structure with an implant, these problems can be avoided. Dentures can provide a second chance at a beautiful smile and make smiling and eating enjoyable again. Having complete dentures can also support one's facial structure and improve speech. Dental implants are an exciting advancement for denture wearers. They can be used to support and hold dentures securely. With dental implants dentures can feel and function as natural teeth. Sometimes, complete dentures are not necessary. Partial dentures can replace a string of teeth and can also be secured with an implant. The cost of a dental implant varies with each case and an exam and consultation is needed to determine an accurate estimate, however, a basic implant generally costs around $1,700-$2,200 with the finished crown bringing the price to around $3,000 each. If you are getting dental implants to stabilize a denture, generally it is best to place more than one implant to hold the denture securely. 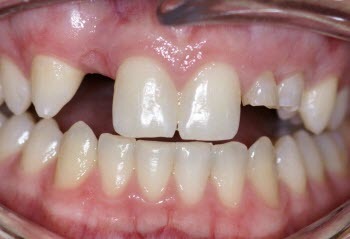 Obviously, the cost of the crown would be replaced with the cost of a denture, which runs right around $1000 per arch. View these informational videos to learn more about dental implants for tooth replacement and denture stabilization.